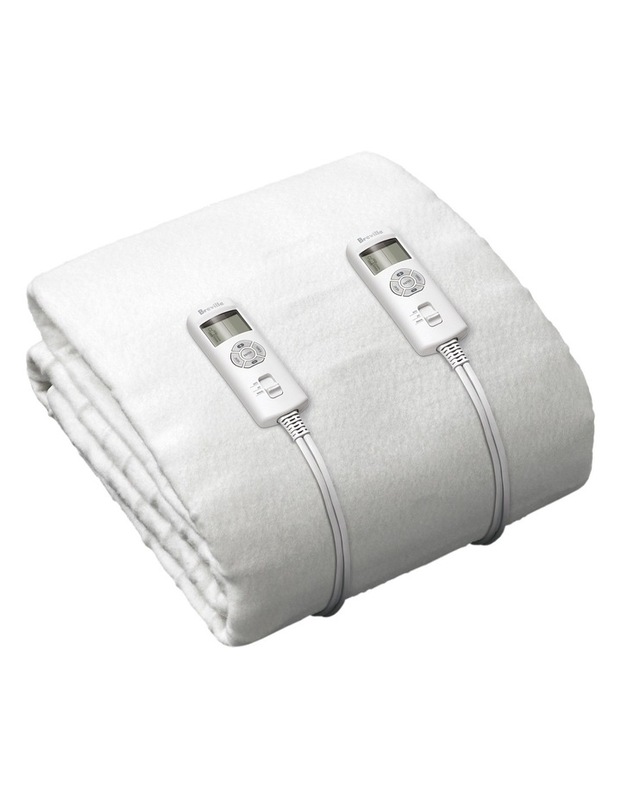 Create the perfect sleep environment with the BodyZoneTM Stay-Fresh Antibacterial Fitted Heated Blanket. 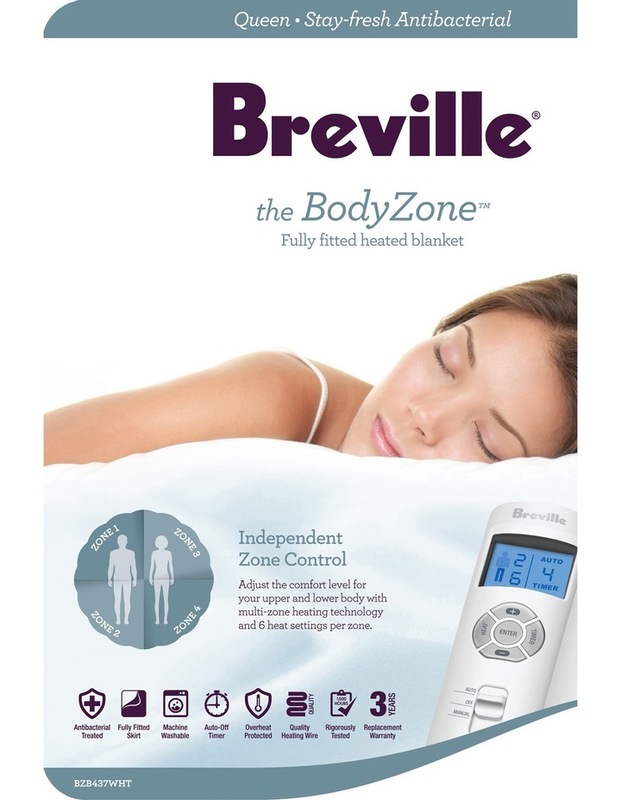 Breville Bodyzone heat technology provides individual heat settings for both upper and lower body, with detachable controllers across the range and dual controllers on the double, queen and king sizes. Antibacterial treated polyester machine washable blanket made from superior quality materials and components. LCD Screen Illuminates when programming settings and then dims when set. 6 Heat Settings Across both upper and lower body zones cater to personal heating preferences. Manual setting to select dual zone heat settings and change the auto-off time. Auto setting when selected, remembers the last heat and auto-off settings programmed. Auto-off Safety Timer can be set to turn blanket off from 1 to 9 hours. Durability tested for over 1,500 hours and backed by a 3 year replacement warranty. Fully skirted blanket to fit securely to the mattress.